While many people can tell you their favorite brand of coffee or the type of bean used to make it, the number able to tell you just what it takes to make coffee are far fewer. Coffee plants can exist in either shade or sun, with those plants receiving full sun producing more berries than their shaded counterparts. 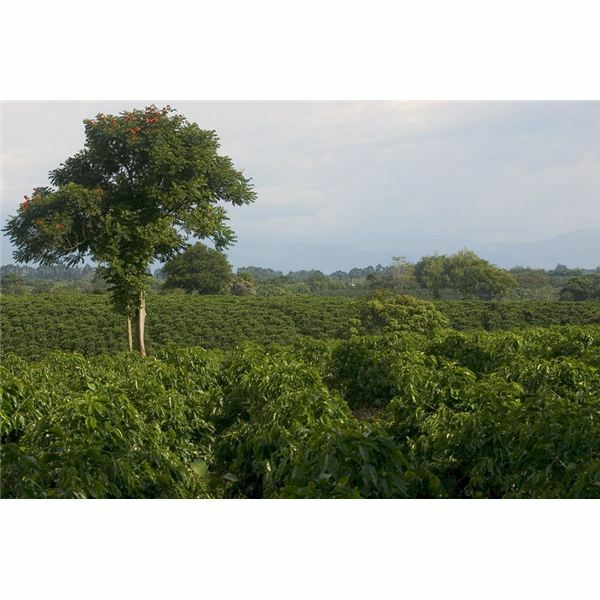 Historically, coffee plants have been used as part of polycultures that include fruit- and nut- bearing trees as well as other plants; such combinations can not only generate greater overall food yields, but can dramatically reduce the need for artificial pesticides and fertilizers. The benefits of such polycultures as habitats for a wide variety of wildlife are well known and documented, but a study undertaken by the University of Michigan reinforces this accepted role and adds an additional function- that of promoting biodiversity in general and genetic diversity in particular. The study investigates a particular tree, Miconia affinis, that tends to infiltrate coffee plantations in Mexico. Researchers took genetic samples from tree clusters and analyzed their DNA in order to determine how closely related they were. While the tree clusters in forest tended to be closely related, the trees in the coffee plantations were genetically diverse, presumably due to the transport of seeds by wildlife. Such an outcome clearly shows the ecological benefit of polycultures, especially in the tropics where, by and large, habitat destruction is the rule rather than the exception. While the outcome of the study may be clear, the reason to plant polycultures may not be. Promoting biodiversity may be the good thing to do, but are there any other benefits that could swing the decision towards them comclusively? Polycultures require far fewer chemicals to maintain. Less fertilizer, pesticide, herbicide, and water means lower maintenance costs, lower transportation and shipping costs, and the like. On a planet where sustainability is becoming a necessity and not just a nice-to-have. Polycultures provide habitat for animals, which has the potential to provide an additional food source for humans, as well.